Antioxidants consist of a group of vitamins, minerals and enzymes that capture free radicals and neutralize them by binding to their free electrons. Your body makes its own free radical busting enzymes. Two of the main ones are super-oxide-dismutase, (SOD) and catalase. These are generally dependent on the availability of trace minerals like selenium, zinc, copper and manganese. Your diet supplies the rest of the antioxidants you need. Vitamin A also known as Beta Carotene are powerful free radical scavengers. Not only do they enhance the activity of the immune system by developing and maintaining your body's natural barriers to infection; they also discourage the formation of abnormal cell growth by maintaining healthy cell membranes. These are essential for normal eyesight and the development and maintenance of healthy tissue throughout your entire body. They also destroy carcinogens and lower cholesterol levels. Sources of beta-carotene include broccoli; dark green leafy vegetables, such as, spinach; yellow-orange vegetables, such as, carrots and sweet potatoes; fruits, such as, cantaloupes and peaches. Cod liver oil is a good source of vitamin A.
Alpha lipoic helps to neutralize the effects of free radicals by enhancing the antioxidant values of vitamin C and vitamin E. It also helps conserve beta carotene in tissues and is involved in normal daily metabolism of fats and carbohydrates. The main source is brewers yeast. Vitamin C aids in the formation and maintenance of collagen, an important protein that forms the basis for connective tissue found throughout your body. It works to reduce tissue damage associated with increased presence of free-radicals and disease conditions. It stops the formation of cancer-causing nitrosamines and may also slow the growth of cancer cells. 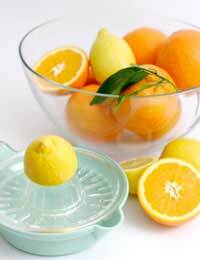 If that's not enough, vitamin C also helps to regulate cholesterol metabolism in the liver and may lower LDL's (bad cholesterol) and increase HDL's (good cholesterol). Dietary sources include citrus fruits, melons, strawberries, and vegetables including, asparagus, broccoli, cauliflower and cabbage. Coenzyme Q10 is an antioxidant similar to vitamin E. It plays crucial role in the production of cellular energy as well as stimulating the immune system, increasing circulation and benefiting the cardiovascular system. CoQ-10 and related CoQ compounds are found in all plants and animals. Cysteine is a sulfur-containing amino acid and your body needs this to produce the free radical fighter glutathione. Cysteine is used by the liver and the lymphocytes to detoxify substances such as alcohol, tobacco smoke and environmental pollutants. Taking supplemental L-cysteine will also slow down cellular damage caused by aging. Vitamin E is a fat-soluble vitamin that exists in eight different forms. Alpha-tocopherol is the most active form of vitamin E in humans, and is a powerful biological antioxidant. Which means it can go to work straight away to protect your cells from the attack of free radicals. If you're looking for a supplement, choose one with a natural vitamin. Your body can retain almost twice as much as the synthetic form of the supplement, and for longer. Studies have also revealed that a dose of vitamin E may ease that stiff ache you sometimes feel after strenuous exercise. Again this is down to the vitamin's function as an antioxidant, and its ability to mop up the damaging byproducts of a heavy workout. You can get it from almonds, breads, flower seeds, vegetable oils and whole grain cereals. Green tea contains several compounds that have anti-oxidant effects, including the flavonoid catechin. It lowers cholesterol and risk of blood clotting. It can also help your body burn fat and regulate sugar levels. Manganese is essential to the normal functioning of protein and fat metabolism, healthy nerves and bone tissue, proper immune function and blood sugar regulation. Healthy sources include dried beans, peas, pineapples, raisins, blueberries, spinach, whole grain breads and cereals. Melatonin is one of the latest antioxidants to be discovered and this hormone might just be the most efficient free radical scavenger identified so far. While most antioxidants are only able to work in parts of specific cells, Melatonin can permeate any of the cells in your body. When is does so it protects the DNA encapsulated in the cell's nucleus, enabling damaged cells to repair. Melatonin supplements are available. Oligomeric Proanthocyanidins occur naturally in food and botanical sources, they have unique antioxidant capabilities and can also repair connective tissue. Their free-radical scavenger activity is more powerful than vitamins E and C. They strengthen capillary walls throughout your body and block the formation of harmful substances caused by stress or pollution. They are available as pine bark and grape seed extract. Selenium is a partner and synergist with vitamin E. It targets harmful hydrogen peroxide lurking in your system and converts it to water. Selenium is particularly important for protecting blood cells of the heart, liver and lungs. It also stimulates increased antibody response to infection. Selenium can be taken as a supplement. It is also found in grains and seeds, such as whole wheat and brown rice, as well as in fish and poultry. Superoxide Dismutase (SOD) is an enzyme which revitalizes cells and slows down the rate of cell destruction throughout your body. It neutralizes the most common and most dangerous free radical: Superoxide. There are two types of SOD: copper/zinc SOD and manganese SOD. Each works to protect a different part of a cell. SOD occurs naturally in barley grass, broccoli, Brussels sprouts, cabbage, wheat grass and most green plants. Supplements of SOD in tablet form must have an enteric coating to reach its destination. Zinc supports the immune system and helps regulate white blood cell functions. It is an essential component of Alcohol Dehydogenase which helps the liver detoxify alcohol and an essential component of Superoxide Dismutase (SOD) which helps protect cells from free-radical damage. Dietary sources include lean meats, oysters, poultry and whole grains.